The first time I made this low carb keto lasagna, I served it to Jon without telling him that it was an impasta (get it? impasta?) and he had no idea. Once I told him, he was even more impressed. It is low carb comfort food at it’s finest. Although it does take a little meal prep work, it is definitely worth it to have a healthier version that you can eat whenever you want. I’ve found a pasta sauce that has a really low carb count. It’s 3 or 4 per 1/2 cup serving (can’t remember for sure). The brand is “Rao’s” and it’s really great. Lasagna is one of my faves, I usually pick around the noodles, but I’ll try these next time. Thanks!!! Yessss,RAO!.They also have low carb vodka penni sauce. It taste fantastic, with zoodles. I make shrimp vodka penne! Rao’s sauce are low carb.not sure if gluten free. Check th ingredience. Raos is awesome! That’s all I use! Your recipes are simply AWESOME! Thank you and please continue to add more! We tried the lasagna and my husband loved it! Then made the noodle recipe again and used it for a pizza crust. It was great and super easy! Can’t wait to try the tuna casserole. My husband has lost almost eighty pounds because of websites like yours. Having a variety of recipes keeps him on track. Thank you so much! Does anyone know whether you can make this ahead of time? I wanted to prep it at home for a road trip..
For the Parmesan cheese is that fresh or the kraft kind in the jar. Freshly grated always tastes so much better! Agreed, Erika! Freshly grated is great if you can get it, Rene. Very good indeed…even the bottomless pit guys in my house chose ‘my side’ of the lasagna over theirs with regular noodles! 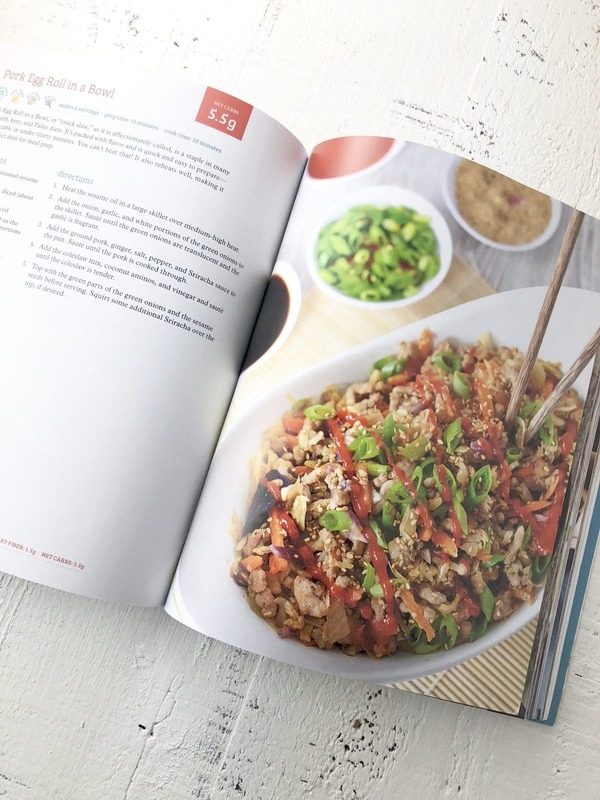 I tweaked it with fresh garlic, onion and basil in the meat mixture and loved the ‘noodles’ – thanks for all your work in making some great recipes! Looks delicious Can you add the calorie count per serving? I made the pizza crust, even though is not crunchy it was very good, after done it my toppings were: mozzarella, ricotta, spinach, onions, red bell pepper, black olives and sausage, OMG it was sooooooooo good! Thank you very much for this delicious recipe. I enjoyed it a lot…. Made this for dinner tonight and it was delish. Thanks so much! Honestly, same here! Made the noodles and sauce last night and had the lasagna at church today. (Just me and my mom since we’re eating keto. We brought regular lasagne for everyone else.) It was amazing. Best lasagne I have ever had. ever. Both the noodles and the sauce are delicious, and it was all super easy. I did blend my sauce with an immersion blender to get rid of the large tomato chunks. My brother and I hate those. I will absolutely be making it again. Can’t wait to make this tonight! Thank you for all your wonderful recipes!!!!! Made this tonight…O.M.G. delicious!!! Loved, loved, loved the “noodles”! Doubled the noodles so I could make a larger dish of this. I can’t rave enough about it. Thank you! Have you tried adding almond flour to the dough? If so, how much? making this right now… smells deeeeeelicious! Made this last night. Oh so good! It will be a keeper in our house. Thank you for this recipe! My husband is diabetic and I was looking for recipe alternatives (lasagna is my fav) that were low carb—plus no zucchini “noodles”. I cannot wait to try it out this weekend ^_^ Please keep up the great work and add more recipes. I made this for Superbowl Sunday and it was AWESOME! Thank you so much! This Italian and her super PICKY husband loved it!!! OMG!!! I love you for posting this!!! 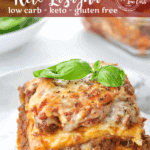 I have been looking for a low carb version as I love my lasagna and was unsure what to use for the noodles. THANK YOU!!! This was awesome, , I made it for my family and now am making it for a dinner party. . I am excited to share this with my friends. Thank you, thank you, thank you! So good. I made this last night and my husband and I were in heaven. This is incredible and really easy. Any chance you can create a white sauce version? My husband can’t have tomato-ey stuff. I will, however, be trying this for me :). Yes! Me too… I can’t have tomatoes, but I love italian dishes. Would love to try this with a white sauce! What about a homemade or jarred alfredo sauce to substitute the tomato hating peeps?? 🙂 My mom doesn’t like tomatoes either and I use alfredo sauce in place of pizza sauce when making pizza for her. Has anyone tried to make this ahead of time? I would like to assemble and then bake the next night. Or should I bake it and reheat it? Ours was amazing the first night but even better second night reheated! Does this freeze well? When I make lasagna I usually make a double batch and freeze / cook it in smaller baking dishes since I’m cooking for one (most of the time). I’m wondering if it can be pre-prepped and frozen to be baked up to a few days later when I’ll have guests. Has anyone tried? How did it end up holding up after freezing and cooking? Did you freeze it uncooked or cooked? 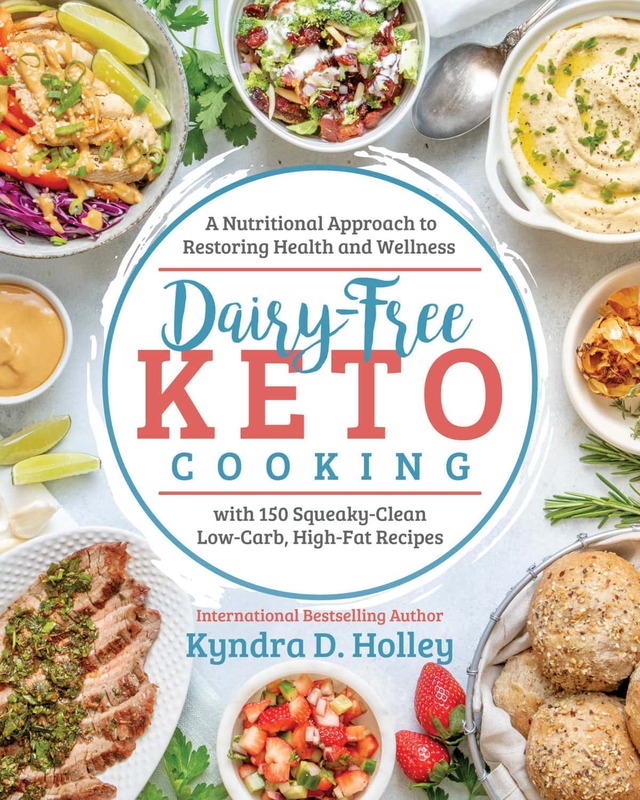 Want to make a bunch of Keto post partum food for the chest freezer!! Thanks! I made this last night and my husband and I loved it. Such a great idea. I’ve tried the zucchini style lasagna and it just didn’t do it for me, but this is awesome!! Thanks for the great recipes. I made this tonight and the whole family loved it!!!! Thanks so much! Thank you, thank you, thank you!!! What a clever way to make a substitute for noodles! And so delicious! My husband, who can eat anything and never gain an ounce was over the moon, and did not notice the “faux” noodles. I used my own marinara sauce (basically the same but without the added cheese) and gave it a little depth with some hot paprika paste, and used fresh herbs and garlic. I can`t wait to try more of your recipes. You have talent, gal! Thanks for the awesome compliment. I am so happy that you enjoyed it. I LOVED this! You are amazing. Can’t wait to follow you going forward! Sadly, burned the first 2 batches of noodles, and the overall dish. Be really careful with temperature and baking times! So I didn’t see the temp for what I should bake this at. I saw the noodles were at 375. Is that the temp for the full lasagna too? This recipe rocks! Everyone in the family loves this even my parents think it’s as good as the real thing. It freezes and reheats really well. I usually make 3 or 4 at a time and it’s great to have them to pull out of the freezer for a busy weeknight! I wish I would have made more when I made this for the first time! Great idea! My family absolutely loved this! Did you bake it before freezing? good to know it freezes well…did you defrost before cooking or cook from frozen ? So I made this meatless (for lent)… and the first night it was just ok maybe cause I used the “noodles” right after they cooled… but the days following it so good. I can’t wait until I’m eating meat again… Thanks! AMAZING!!!!! Just perfect! We loved this recipe! Better than regular lasagna. The flavor in the “noodles” is just wonderful! I substituted fat free ricotta and used low fat mozz. I also used ground turkey instead of beef. I just can’t get over how great this recipe is. Wow! I just stumbled upon this today and since it was cold and rainy, I was in the perfect mood for this. I haven’t made regular lasagna in years, since it makes such a mess and this was easier than “real” lasagna, but just as tasty. Thank you! This will go in the regular rotation. My friends and family LOVE this lasagna, even more than regular lasagna. My daughter brought the lasagna noodles in her lunch and her friends are now asking for the recipe. Thank you. Thank you so much for this recipe. This is my second time making it and we all love it.!! I made this this past weekend. It is very good and as good as “real” lasagna with noodles. A winner for me. I guess I am missing something. How do you get e layers of noodles from the one pan? 3 noodles are cut from the 9X13 pan. The noodles are then layered into a single loaf pan. This lasagna is amazing. I just made it for the first time last night and was floored at how well it turned out. My family prefers this version to the “old” way. It was delicious. Thank you so much ! You are amazing….I love reading about your real life struggles and the real food you are eating. So glad to see you are back !!! Thank you for this. I’ve been running out of low carb ideas for my dieting husband. This one opens up so many possibilities! Made this tonight and am just waiting for him to come home to try it. Smells divine. So very good. And, it was better the second day! My carb eater husband even loved it! Also, she’s right about the noodles being a good pizza crust, too. I made some extra and stored them in the fridge. I just topped the “noodles” with some cheese and pepperoni and baked on a parchment lined pan at 425 until bubbly and golden brown. Delicious! I was soooo skeptical, but have to agree that this version actually surpassed regular lasagna in our house! Wow it’s yummy. I tripled the noodle recipe and spread it on 2 large cookie sheets in order to make a 9×12 lasagna, and it was perfect. The “noodles” themselves are pretty tasty… trying to think what else to do with them! The funny thing, both my boyfriend and I found this to be so filling – normally we’d go back for seconds when something tastes this good (hense the change in diet!) but neither of us had the room. Had a piece reheated the next day for lunch and could barely finish. Bonus!!!! Really excellent job! Made this tonight for supper, like it better than regular pasta noodle lasagna. Delicious. OMG, this was da bomb…Husband loved it, and he doesn’t even like low-carb meals…can’t wait to make it again next week…thanks for the recipe!!!! This was really, REALLY good. In fact, if I didn’t know it didn’t have actual pasta, I’m not sure I would be able to tell! One of the best low carb recipes I’ve tried. Thank you so much! Holy deliciousness! Made with 1.5 lbs. browned uncased Italian sausage. My husband who’s also low carbing LOVED it! Thanks!!! This lasagna is insanely delicious!! It is the first recipe I give to friends who want to go low carb and think they can’t. Thank you so much! So happy you enjoy it enough to share it. Thanks for the kind words. Oh.My.Damn!!! This is so good!!! It’s not just good as real thing – it’s better than real thing!!! Thank you for this awesome recipe!!! BEST REPLY EVER!!! This makes me want to try to make this! This sounds too good to be true! I usually cook lunches on Sunday and then re-heat during the week for work. Has anyone had luck with this dish as leftovers, even a few days later? First, I would like to thank you for all the time spent developing your recipes. I made a few changes to make it more like my own higher carb recipe….instead of your marinara, I used Rao’s out of the jar…only 2 net carbs per 1/2 cup. And I used 1 cup whole milk ricotta and added one egg and Italian seasonings and a little salt. Had to let you know how delicious the lasagna was….iin fact, I have another in the oven right now. I got 6 healthy servings out of mine……4 would have been way too much. I found that it was even better the next day. I just left it in the loaf pan and sliced a serving and heated in the microwave….added a bit more Rao’s marinara sauce to the top…delish. I made this recipe over the weekend and OMG it was amazing! Thank you so much for sharing! Had to post a pic on my FB and now I have several inquiries about recipe. I’m certainly sharing and hope they find it equally scrumptious! Thank you so much for this recipe. The only thing I changed was that I used Italian sausage instead of hamburger and did not use ricotta. I prepared this several days ago and froze in four mini loaf pans to have individual servings. I couldn’t finish a whole serving so had the left over just now for breakfast. It tasted as good or better than my old lasagna using pasta noodles. Thank you so so much! Phenomenal! My picky PICKY husband loved it and we both agreed it’s every bit as good as the real deal. You don’t miss the pasta at all! I made the real deal for my kids and this for my husband and I. The kids tried it and all said they’d be happy eating it. You can’t tell the difference! You are pure magic! Thank you for giving me back one of my favorite foods! Yay! So happy you liked it. Any meal that is husband AND kid approved is a winner. this is amazing!! Ive made it twice and nobody missed the high carb pasta. I thought the cheezy noodles were better than the high carb pasta. Thanks for a great recipe!! Made an almost dairy-free version . . . used leftover Almond nut pulp from Almond milk . . . works just like ricotta cheese . . . my husband Loved it and so did I . . . still used eggs and 1 ounce of kefalotyri cheese and it’s wonderful. Thanks for all the hard work! I’ve got to say, this is amazing. Lasagna is my trademark recipe that all my friends love. Since my husband has gone low carb, it’s not been an option. I tried this recipe last weekend and was amazed. I didn’t change a thing. While I didn’t set out to improve it, I made it again today and changed one thing and it is even better. I didn’t think that would be possible. I made your noodle recipe and instead of baking it in one 13×9 pan I used the same recipe but split it between two 13×9 pans to make 6 smaller noodles. I also used the leftover sauce form last weekend. OH MY GOODNESS. Those smaller noodles literally dissolved and became almost pasta like. Thank you for sharing. I have a feeling my husband will be requesting this often. Did you make 6 layers or did you make a double batch of the filling and use two loaf pans? This is unbelievably delicious!! Made to recipe but did add an egg yoke to the Ricotta.We had an emergency so we put all the ingredients in the fridge and assembled the next day. It baked for 50 minutes to get to 160 degrees internal. Tented the cheese on top after the first twenty minutes. This has all the texture and flavor of the real deal. Next go around I’ll make sure i have an additional few tablespoons of marinara as it was a little drier than I care for. Thank you for creating this gastronomical delight!!!! I skip the mozzarella on top while baking…always Brown’s too much and with all the other cheeses you really don’t miss it. This was amazing! My husband and I both thought it tasted like the “real” thing. Thanks for such a great recipe! This recipe is amazing!!! Oh my gosh!! Do you know if this can be cut into individual portions and frozen to reheat later? It seams like even real pasta gets a little mushy after freezing. Thank you for this info. I’ve been looking for someone to say how they froze it, cooked or uncooked. Love that we could make several and freeze individual portions for easy future suppers. I made this last night and loved it!!! Will Will be making this again! I’m doing your diet bet this month and just made this for dinner. Holy Smokes!!!! Amazing!!! That sauce is incredible. Thank you! OMG…made this over the weekend. A little bit of work but I doubled sauce recipe and froze it for next time. This was insanely delicious – REALLY. Hubbie ate it and had no idea they weren’t real noodles. Well worth a little time and making the “noodles” ahead of time and leaving them in refrigerator worked just fine. So happy you enjoyed it. Yes, it is definitely a little more time consuming than traditional lasagna, but so, so worth it. I just made this recipe for our dinner tonight. I did use a different sauce, but it was delicious. I recently found out I have a truck load of food allergies. I am enjoying exploring your website and finding new recipes that work with my food restrictions. I tried it tonight and it was amazing! Better than the traditional. Thank you! Super impressed with this recipe. I also used another sauce, but my family loved it. Thanks for an outstanding recipe! This has been my go-to lasagna for years now! I don’t bother with any other recipe because there is no point! Right now, we are house-sitting in Barbados and I made a few loaf pans of it and froze it and brought it with us….We have it once a week. It is definitely the best! Thank you for this recipe! It’s CRAZY good. I didn’t know I was missing lasagne until my first bite. But this is really delicious! I just made a double batch of this tonight!! I had extra “noodles” because I made smaller pans, which I used up making single serving pans. This was sooooo good!! I put the extras in my freezer for quick low carb dinners. 🙂 Thank you for this awesome recipe. Absolutely amazing. Made this tonight for my dad who doesn’t eat low carb and he couldn’t believe how tasty it was!! Thanks for the great recipes!! Congrats on your upcoming cookbook releases! They look beautiful and this lasagna looks delicious! This sounds amazing! I’ve been using a thickish slice of provolone or swiss cheese as a noodle (it holds up really well and adds an extra cheesy flavor! ), but I can’t wait to try this too! So, I really do not leave comments but felt like I had to with this one. My husband who is not a big noodle fan was amazed at how good this was. We couldn’t believe how much it tasted like lasagna!!!! The only complaint that I had was that I should have made more. I’ve been asked to keep this one in the rotation. I was a big carb fan with lasagna being on the top of my list. Started going kept about 4 weeks ago and was really missing all pasta’s then I came across this recipe. One word : FAN-F%$KING-TASTIC!!!! It was unbelievable I would even venture to say it was better than my ‘regular’ lasagna recipe. Husband couldn’t believe it was kept but was very happy to hear it was 9.5g of carbs. Then I find a nacho recipe?!?! Guess whats for dinner tomorrow! This recipe says 4 servings but I easily get 8 out of it….this and a side salad or veggies is plenty. Kyndra this dish is so amazingly delicious! You have outdone yourself. My hubby has finally started keto with me after watching me a couple months and he was worried about what he will be eating. If he will like it. Well today helped to assuage his worries after eating this. Thanks again for sharing! This I my First time making my own Keto Meal, my husband is the chef Im a stylist. It was uber delicious! So happy you enjoyed it!! Thanks so much. This is brilliant! I am totally intrigued by those “noodles”. I love this type of lasagna recipe! So much lighter. So much better than watery zucchini noodles! this recipes is so good! you could eat the noodles by their self i will make this over and over,my husband liked it to… and he doesen’t eat the same foods as me. I’m so glad you both like it! I just used your “Noodle” recipe to make the bread for panini sandwiches and it turned out PERFECT!! It was sturdy enough, crispy enough and of course DELICIOUS enough! P.S. I loved the lasagna too! What is a serving size? Id prefer to make this for myself, in a smaller dish but can’t gather just what the serving size would be, as i don’t want to mess the carbs up too much. 1/4 of the pan. Cut it into equal fourths and that is the serving size. This was Epic! Thank you so much. When the sheets came out of the oven I thought what the hell have I done- conned by another recipe but… When this lasagne came out of the oven O. M. GOSH!!!!! I’m glad I made the extra to go in the freezer. Do I need to defrost these before making again? I love this review! Thank you so much! I think you could use them frozen for sure. Wow it’s all I can say! Couldn’t believe how the noodles were not missed because these tasted just like noodles. Delicious. Thank you for this recipe! This lasagna is legit AF! My new favoritw recipe!!! Ok, I was skeptical because diet food usually has a lower taste bar. BUT I made my usual lasagna sauce and made half of a 9×13 with regular noodles and the other half with the “noodles” from this recipe. Had guests over who are not doing keto and the keto half was the only half of the pan eaten! Our guests had seconds and chose the keto side! My husband is an ultra runner and has asked me to make this as his night-before-the-race meal in two weeks. He echoes others’ comments saying he likes these “noodles” better than the real thing. And he’s 1/4 Italian! Thank you for the recipe! By the way, I doubled the “noodle” recipe to make enough “noodles” for 2 layers of a 9×13 pan. They’re thicker than regular noodles so the lasagna tends to be a little taller. TOTAL WIN! Entire family approved…even the picky kids. My kids have requested just the “noodles” for a snack. I’m using them for a keto pizza crust tonight since my budget has run dry, but I have tons of cream cheese and mozzarella! Seriously, delicious.. Used Rao’s marinara (I work full time and have 3 adolescent boys= no time). Made this on my day off. i now use these noodles as my go to pizza crust as my whole family loves this recipe! Thank you!! This sounds delicious, I will be making this when I purchase all the ingredients. i just started on the low carb diet. Instantly a favorite in my house. It really is the best lasagna ever! First of all. I have never made Lasagna before. Heck, I don’t normally bake. ; more of a wok girl. Just made this dish and it is delicious like you all rave about. Thank you for sharing. Wow this is better than regular lasagna! Thanks for sharing!!!! So I made this today and the family loved it! They said it was so much better than regular lasagna. I did modify the recipe a little and added mushrooms and fresh onion to the ground beef mix. Also layered pepperoni in between the noodles and sauce. Scrumptious and very filling! My hubby loves this! He requests it often and he is not on Keto! 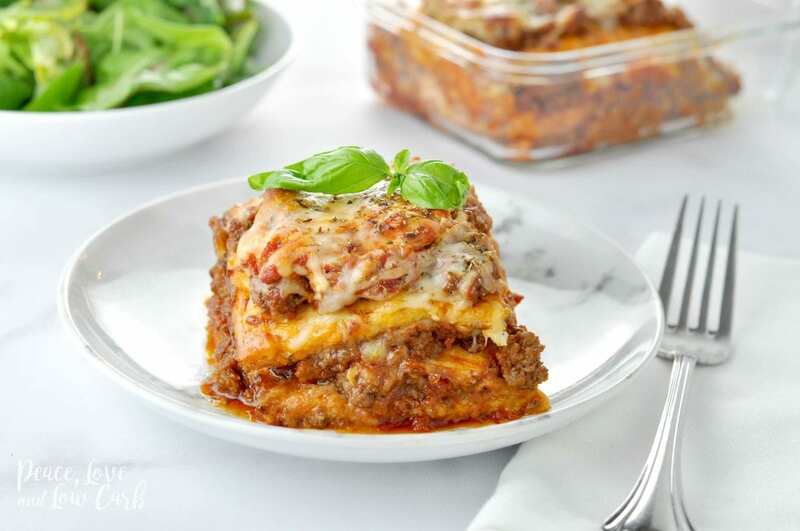 This is undeniably a 5 star keto lasagna! Simply AMAZING. This is crazy delicious! I usually avoid copycat recipes for Keto, but I loved this. The “noodles” are tasty in their own right. I didn’t feel like I was missing out on carbs at all. Make this! I make a lot of meat spaghetti sauce at once and freeze the leftovers in individual meal-size bags, so I was ready to roll with this recipe! it took about 7-8 minutes from the time I got the noodle ingredients out and threw them into the food processor, until I spread it in the pan and put it in the oven. Once the noodles were baked and cooled, it took about 5 more minutes to assemble the lasagna and stick it in the oven. This lasagna, a big salad, and a piece of garlic toast for DH made us both very happy. He actually couldn’t get enough and went back for seconds and thirds and raved about how great this lasagna is. What a wonderful recipe! I followed the directions to a t. I only get 3 servings for a 9×12 casserole dish. The noodles only make 1 layer. You’d have to make 2 more batches of noodles for this to work. Read it again. This recipe works perfectly. The lasagna is very filling as well. You get a loaf pan of lasagna but it is certainly enough for 4 servings. Yep! Cut “noodle” in thirds and make lasagna in loaf pan. Makes 4 servings for us. Can I please say thank you thank you thank you! I just started following a Keto lifestyle a couple weeks ago and have been experimenting with lots of things with some major “I won’t make that again” moments. This, however is a keeper! The noodles smelled amazing and the flavor is just as good. I won’t be missing noodles anymore. I’ll be making your Chicken Cordon Bleu Lasagna to take to my family’s Easter pot luck. I know it’s going to be a hit! I’ve made this recipe before and it tastes amazing! But mine didn’t slice well, probably because I used too much sauce. So this time I’m going to follow the recipe exactly. The recipe calls for 1-1/2 cups of marinara but I only see where 1 cup is used in the directions (3/4 c mixed with the filling and 1/4c in the bottom of the pan). Where does the extra 1/2 cup of sauce go? Thank you, thank you, thank you! Love it! My husband and I are in our third month of a low carb life, and we needed some “pasta”. He loves lasagna and I made this as a surprise for him – it was absolutely delicious!! All these great reviews mean this recipe goes on my short list of low-carb dishes to try. Thank you so much for sharing! 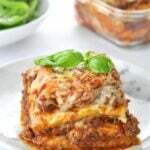 My husband loved this recipe and he doesn’t usually even like regular lasagna. He said he wants it on our regular rotation. I used Rao’s vodka marinara, which is expensive at $6 per jar.. I may try to double the recipe next time and use a larger pan. Also, I always shred my own cheese because it tastes fresher and doesn’t have the additives of preshredded. Thanks for bringing comfort food back to the low carb lifestyle! If you’re ‘thinking’ about making this…. get busy and make it! It’s amazing you wont regret it! I love this recipe, we crave it! I don’t this title is appropriate, it’s NOT “just-like-the-real-thing”, It’s better than the real thing. Ohhh my gosh! I made this recipe over the weekend and it was fabulous! Those noodles tasted awesome. I can imagine so many uses for them besides lasagna. Thank you so much for sharing this and your other wonderful recipes. I just ordered your book and can’t wait to see what wonderful meals we will be having. OMG this was EVERYTHING!!! i fell off the keto low carb track and stumbled on to this by way of the List serve & man oh man i may be ready for a strong comeback. and easy prep as well. DH (who critiizes EVERYTHING) cannot stop raving. Thanks my love!! This recipe is the bomb!!! I can’t believe how close to the real thing it taste like. I will definitely be making this again. Thank you so much for sharing. Wow was this unbelievable good. The “lasagna Noodles” where absolutely perfect this recipe is perfect. I didn’t tell family members it was grain free and they swore this was the best Lasagna they ever had! Thank you so much for sharing this recipe, it is a true gem! Let me start off by saying I have NEVER written a review of anything. EVER, But this recipe is the MOST AMAZING low carb dish I have made yet! You hit it out of the park on this one!!!! Thank you for making this journey a little easier and a whole lot more yummy!! Made this last night and currently enjoying leftovers for lunch. This is DELISH!!!! One of the best low carb recipes I’ve had! UNBELIEVABLE!! So delicious. I started on the Keto diet 3 weeks ago and my husband always goes on my diets with me to support me. He loved this and said it was better than the regular lasagna with pasta in it. It was sooooooo goood. I cannot believe the “noodles” texture, it is perfect. No one would know it is a Keto dish. PERFECT! Thank you so much for coming up with all your delicious recipes, it is a life-saver for those of us trying to eat right. Thank you, Thank you, Thank you! Amazing. Used Rao sauce and did not see where to put it in the layers except on the bottom and meat mix itself, and it was gooey and amazing. THANK YOU!!!!!!!!!!!!!! Oh my gosh! I’ve been stuck in a rut. Hubby just started Keto last week. I’ve been doing it for about a year. I made th lasagna before going to an appointment and left it out for my hubby. When I got home he wa like “omg! Omg!” lol. Huge success! It’s the bom! Thank you so much. 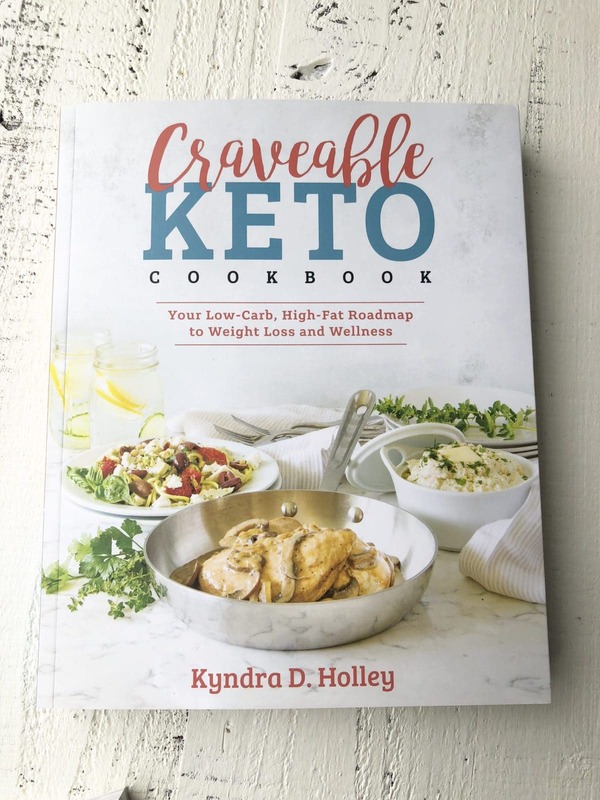 I’m purchasing your “craveable” cook book to put some zing into our meal plan. Thank you! You rock! I rarely leave comments, but HAD to let you know that this is absolutely the best recipe I have tried doing Keto! It’s seriously delicious and I’ve made it many times now. I just can’t get over how the egg and cheese mixture tastes like real noodles! You’re brilliant, and I thank you for sharing this with us!!! 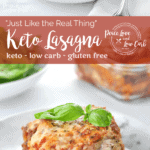 This keto lasagna tastes amazing and could pass for an original/unmodified lasagna. from sticking to the parchment paper? Thanks in Advance!! Did you accidentally use wax paper instead. Wax paper and parchment paper are not the same. Delicious! You’d never know this was a low carb dish. I prefer this over regular lasagna noodles. Husband approved! The best lasagna I’ve ever had! Thank you so much. Followed the recipe exactly and it was unbelievable good. My whole family devoured it. I have made this quite a few times because it is SO darn popular with the fam!! Thanks, Kyndra, for putting together such a fabulous website as well as all these yummy recipes!! I do have one question for you: the recipe says four servings. Is that correct? I used the pan size recommended and have found that unless I have teenage boys eating (which I don’t! ), that pan usually results in 6-8 servings. Because the lasagna is so rich and filling, eating 1/4 of that pan would be waaaaay too much. Just curious if anyone else has found that. If not, maybe it’s just me! I felt 4 servings would be too big and I was wanting it to be less carbs so I divided it into 6 servings & both me & my husband thought that was plenty. I have professionally cooked for thirty five years and that is one of the best lasagnas that I have ever made. My granddaughter and I made this last night and it was amazing!!! Thank you for all the excellent recipes — it’s given me the jump start to a new lifestyle. Live it and my husband did too. This was absolutely delicious. The ‘noodle’ is genius. My husband agrees, this is better than a real noodle lasagna. I doubled the recipe, put it all together and froze it for a few days, took it out to thaw overnight and baked it. It was so dang good. THANK YOU for this ingenious recipe and all the others on your site. You are amazing and your efforts are appreciated so very much! Has anyone tried this in a crock pot or slow cooker? I’ve done regular lasagna in it for years, but I’m not sure how this one would do! This was soooooo good! I made my own sauce from scratch (basically meat, onions, red pepper, garlic, celery, can of tomatoes, tomato sauce, tomato paste) and let it simmer down. But I even screwed up the noodles slightly, in that I used a slightly too small pan, and it still was a hit with my non-keto/low-carb boyfriend, who grew up in Chicago and is a total pasta/pizza snob. The “noodles” were perfect…they were the right texture to mimic real noodles so you didn’t feel like you were just eating a glob of cheese and meat, but they also were neutral enough in flavor so you didn’t feel like you were eating eggs. Zucchini noodles didn’t have the right texture, but this was perfect. I’m SOOOO impressed and am going to keep experimenting with the noodle recipe to see if I can’t come up with some other variations to use in different recipes. Thank you! 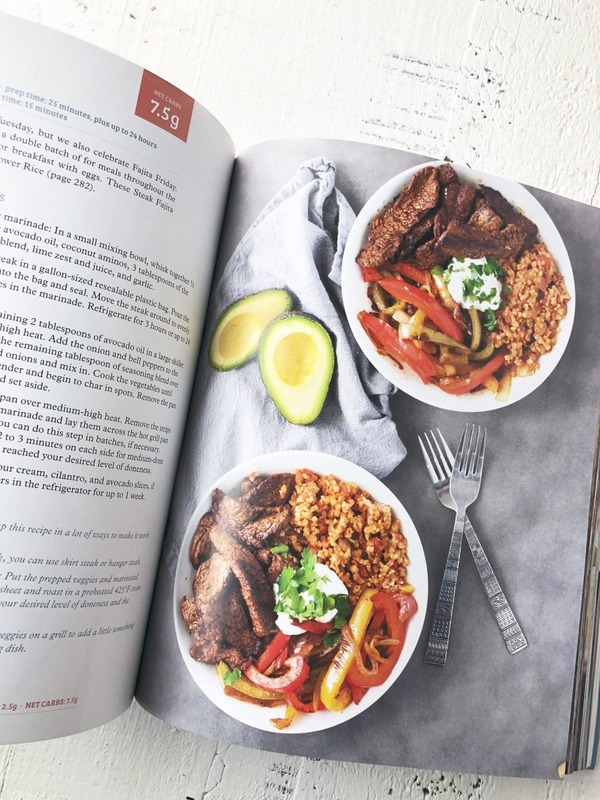 Found your website via Pinterest (just started Keto). This was AMAZING! I’m going to try freezing it for busy nights, and I’m also going to try turning your noodles into some other noodle needing dishes. I completely forgot to put in the ricotta and it was still an amazing dish! Can’t wait to try it with the ricotta! I made this lasagna last night for dinner. It was AMAZING!! The only change I made was to do 1/2 beef and 1/2 italian sausage for the meat, otherwise followed the recipe exactly as written. I was very intrigued on how the “noodles” would turn out. They were magically the same texture as real pasta noodles!! I quietly served this to my non-keto family and no one noticed the difference. This will be added to the regular dinner rotation. Thank you!!! We loved this!!!! I have a very picky, super skinny, carb-addicted son and he ate almost half of it. Next time I’ll add more pepper flakes because we’re all about the spice. Could I do the same “noodle” recipe with pepper jack and cheddar? Would the cheddar be too oily? I’m asking because I’m thinking it would make great “dumplings” for chicken and dumplings? I’m I being silly? Anyway! Thank you so much for making keto about more than just the meat. I love this LC recipe because it doesn’t taste low carb. I also like to just make the noodles and melt mozzarella on them to make breadsticks. Dipped in ranch they are amazing. Amazing recipe! I made it today, and everyone enjoyed it! Thank you for sharing this with us ???????????????? This is an awesome recipe and spot on for flavor!!! It’s even better if you let it sit a day before baking or reheated when the marinara blends in real well. Thank you for sharing the recipe!!! My lasagna is cooking right now. I’m sire it will be amazing because that sauce is unbelievable!!! I used to buy Prego but I will make my own from now on…it’s that good! I sat and ate at least 1/2 c of it while I waited for he noodles to cool. Thanks for some awesome ideas. You’re helping to save my back, my joints and MY LIFE,! I made this for my husband and I for dinner and he is like having a toddler in the house, he doesn’t like anything! He loved it! In fact I had to hide some for my lunch. It really is the best lasagna ever. It is so perfect I am making it for my seniors at my recreation center in October because they wanted a catered Italian lunch! I will report back with how it goes. I am going to have to quadruple the recipe and make 2 9 x 13 pans and I will serve a salad with it. Thank you so much for this recipe Kyndra!!! I made this yesterday for my wife and I and we were extremely surprised by the outcome. It was delicious!!! A few slight adjustments to the recipe: First, I used Rao’s marinara. I also didn’t add the spice mix to the beef until it was almost done and then just incorporated it and let it bloom for 30 seconds or so before adding the marinara. The beef mixture also needed just a little bit of water–my mixture was a little too dry. The next time I make it I’m going to adjust slightly for our palates: 1 tsp salt and 1 tsp red pepper flakes with the beef . I think also adding a little bit of fresh basil (chiffonade cut) on top after it comes out of the oven would give it a good fresh herb boost. The title could not be more PERFECT! This was absolutely delicious! I got the noodles and sauce ready a night before and that made whipping it up so much easier. Yummy! Thank you! Thank you! I never comment on recipes but this one was phenomenal! And I had to say thank you for this! This was the most amazing recipe! It was delicious and easy to make (a bit more work because we had to make the noodles but worth every second). We doubled the recipe to make a 9×13 pan and it was easily the best lasagna either of us has ever had. Before we made it, I searched the comments for any issues people have had with it, just to be prepared. I couldn’t find a single negative comment and now I know why! Thank you so much again! I have been doing Keto for about 7 weeks now. Tried a lasagna using spaghetti squash for noodles. It was good but just not up to my standards. So I decided to go on a search for the perfect keto friendly lasagna. I tried your recipe tonight and it was amazingly delicious! I can honestly say my search is over! Even my Italian, non-keto husband loves it. Thank you so much for this recipe! I want to make this but I wanted to know if anyone has prepared it to bake the following day. Going on a camping trip and want to do it the night before to bake the next day. Thanks! I eat keto because I am Insulin resistant. I love this recipe. I have made it several times. Super jealous that your hubby eats low carb, too. Life would be easier if I didn’t have to cook 2 different meals! I made sure my “noodle” ingredients were warmish and whizzed it all up in my Ninja then poured it onto a Silpat lined sheet pan. Quick and easy. Great that night better the next couple of times we warmed it up. I’m thinking of trying to cut it thin like spaghetti and use it in a couple casseroles we love. I’m also not a ricotta fan so I always use whole fat cottage cheese whizzed up to a paste. You do have to beware of extra salt though. 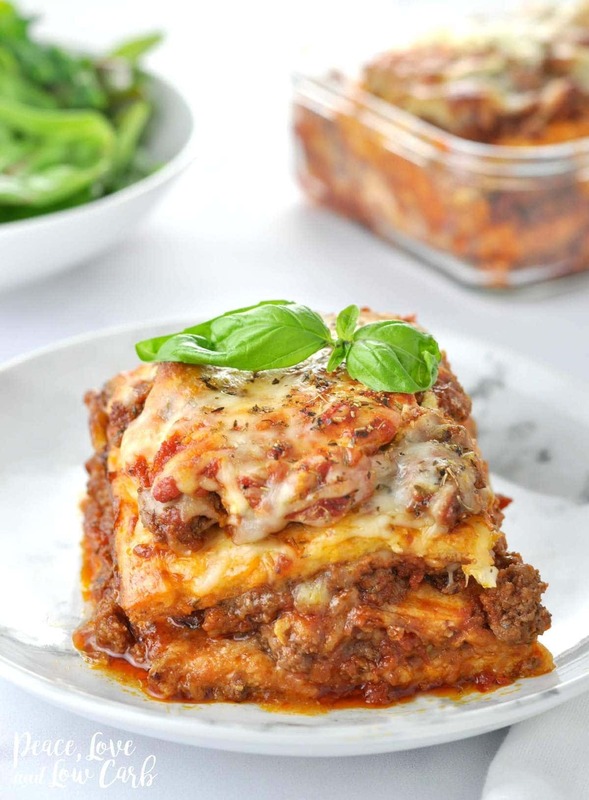 Iam going to try this recipe tomorrow, but I do have a question , can this recipe be frozen as I am the only one of the two of us who likes lasagna , I cant eat it more than two days at a time so if it freezes well this would be great otherwise not a good fit for me. Wow! I’ve been eyeing this recipe for a while now, but never actually made it until last week. Why did I wait so long?! This was so delicious and definitely satisfied my craving for Italian food. Thanks Kyndra for another fantastic recipe! Absolutely outstanding!! My husband and I just had this for lunch and we were both really impressed. Thank you for the rockin’ recipe!! This recipe is fantastic! My husband ate it and said it tastes better than the pasta version. I did make the 3 cheese ;marinara and I think that made it taste even more delicious. It’s so filling and I missed absolutely nothing about orginial lasagna!! I can’t wait to get your cookbook. Are you making your noodles in a deep baking dish like a Pyrex or a shallow, metal jelly roll pan? I have made this a few times with the pan and the noodle comes out a little more done on the bottom than I’d like. I’m wondering if it’s the pan or my oven or what. Suggestions? Thank you! I doubled the recipe and I made a few errors. I think I made the noodles too thick. I didn’t care for the texture. And I didn’t use enough sauce. I’ll try it again and pay more attention to spreading out the noodle mixture.. We LOVE lasagna, but are trying to go Keto. With all the great reviews, I definitely will try again. Thank you, thank you, thank you! I have been Keto for almost 5 years now and am always in search of new recipe ideas. This ‘pasta’ is a game changer. I have been making zucchini or eggplant bases for my lasagna up until now, but this recipe is the gear! Hubby loved it, I took left overs to work and both my co-workers (non keto) loved it. 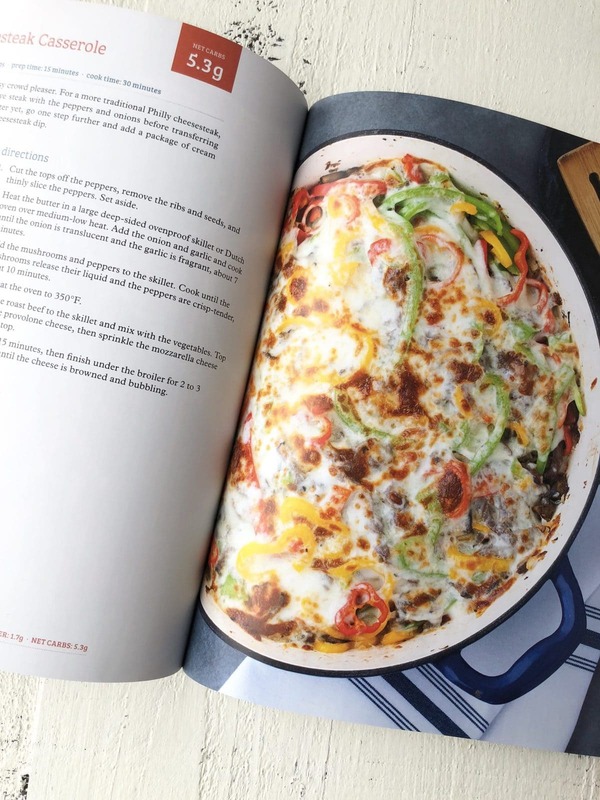 We are doing a pot luck this weekend and work and they have asked me to make the Keto Lasagna………..SCORE! This recipe was very simple to make and the texture of the ‘pasta’ was very close to the real thing, the fact that it is made with typical lasagna ingredients makes it definitely a winner. Awesome. “Impasta”! Bahhh haaaa! Sounds yummy! OMG!!! I ABSOLUTELY LOVE THIS LASAGNA.. I was kind of skeptical before I made it, because of the other recipes that claim to be “Just Like The Real Thing”. But this was DELICIOUS!! The night I made this lasagna, it was very good.. but the next night I had the leftovers, OMG!! It was simply amazingly delicious. I HIGHLY recommend anyone doing the KETO or just lowering your carb intake, to try this recipe. I’m making more tonight. It stores well, I plan to portion it out, freeze and vacuum seal it. Thank you, thank you! We tried this recipe a few days ago and Loooooved it! It was so delicious. This recipe is soooooo good. My husband is skeceptable about my Keto foods. He loved this. The noodles are the best. We have 2 grand daughters with celiacs decrease and I do Keto. We loved it and have decided to replace my regular Lasagne with this recipe. So good. Thanks! This was by far the best KETO recipe I’ve made. My 4 picky eaters SMASHED it. I doubled the sauce and tripled the “noodles” making them each 9×13 to make 3 layers it made 12 servings at 459 cal each. Super impressed. Could you sub another cheese for the Mozzarella in the crust I am not a big fan of it but am dying to make this. Is this lasagna recipe gluten free as well? This was absolutely amazing. My not lc fiance loved it as well. This is definitely going in my regular rotation. I might even make the “noodles” into fettuccine and sauce them to see if i can make chicken broccoli alfredo. Absolutely love this recipe! Lasagna is one of my favorites and now I have a low carb version – Thank you. Do you know if it freezes well ? Made this for dinner tonight and it was a huge hit! We’ve been missing pasta and this has done the trick! Will definitely make it again. I used large curd cottage cheese in place of the ricotta. Thanks! Is ti possible to make the noodles a few days before and leave them in the fridge? Thank you, thank you, thank you! This is outstanding. Honestly just an amazing lasagna, I would put it against most “authentic” versions in a heartbeat. I used ground moose and venison for a little twist. Lots of folks use the RAO’s sauce, which I have used as well. I now use “Organico Bello”, kale, tomato, and basil sauce. Net 2 grams per half cup and I find it a little more rich than RAO’s, and a dollar cheaper. Made it twice in the last 2 weeks, and have served it to 16 people (the second one I made weighed 8.5lbs). This one is a keeper. Really great and easy to make. I didn’t see a baking time for the lasagna (only for the noodles, which are made in advance). I guessed and baked at 375 for 20 minutes and that seemed okay. I also didn’t see where to add in the sauce after the initial 1/4 cup at the bottom, so I just spooned some onto the meat for each layer. It was still a little dry, so I’d add more sauce next time. I also baked uncovered, because it didn’t specify. This recipe is EXCELLENT!!! I have made it multiple times, including for friends who thought it was fantastic and tasted just as good if not better than the real thing! My picky kids loved it! After making it the first time, I learned to double the recipe so there’s enough (and hopefully leftovers). Thank you so much for this recipe! Thank you! This was delicious! It could pass as “real” lasagna. Both my husband and I loved it! I made this recipe in individual foil mini loaf pans. I froze them. I took one out yesterday to try and it’s perfect even after freezing. Thank you for such a great recipe. Absolutely love this recipe! Served it to coworkers and none could tell it was no flor noodles. I make my own sauce so I know exactly whats in it. I make and freeze so I always have one on hand. Thank you for this great dish. I made this tonight and we loved it! I doubled it and it turned out great. My super picky 11 year old told me “that was really good , thank you!” He never does that, lol, And he said to make it again. My 2 year old loved it too! WOW. I was SO skeptical about how the “noodles” would turn out….but they TRULY taste like real noodles!! I am honestly blown away. My husband, who doesn’t eat low-carb like me, didn’t even know the difference and said multiple times while eating how good it was. To be honest, I did just made the “noodles” part and put them into my own lasagna recipe, so I can’t vouch for the finalized recipe as written above, but what I can say is that these “noodles” are truly the real deal!!! I doubled the “noodles” recipe and spread it out to cover an entire extra large 15×21″ baking pan, cooked it for 25 minutes, and then once it cooled, cut it into strips to fit my regular sized lasagna pan. I really wanted a couple layers of lasagna, so I’m happy I doubled the “noodles” recipe. Seriously sooooo good. I will definitely be making these noodles again! Thank you so much!! Wonderful! Husband and I enjoyed this immensely! Looking forward to the leftovers ;). This was literally the BEST lasagna I’ve ever made period. I used Rao’s sensitive sauce marinara instead of the one in this recipe but it turned out great! Soooo cheesy and delicious! I’m convinced anyone that struggling with keto has to try your recipes! Super filling as well, only needed one serving to get the job done! Thank you for sharing this, seriously! I mean WOW! Thank you so much for this recipe. Recipes like this one make keto that much easy to stay on. Absolutely amazing! This was a wonderful surprise! The noodle was actually better than pasta, and I’ve decided to make it as a “bread” alternative as well. I thought I’d have to settle for pasta without the pasta (just sauce and meat), but this recipe proved me wrong. Never would have guessed how amazing this could be! Made it for my hubby, who LOVED it. He truly could not tell the difference between this and standard lasagna. Your keto recipes are the best we’ve ever tried. Fun recipe that satisfies without ingredients that are hard to find,. Plus interesting reviews! …love feedback that’s so positive and open!! Wow!! It is just like the real thing!